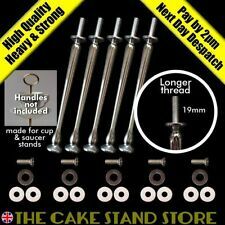 6 Hooks Cup Holder Hang Kitchen Cabinet Under Shelf Storage Rack Organiser LH. Black Car Garbage Bag Rack Sucker Trash Bag Hanger Removable Car Trash Bin LH. Aquarium Cleaning Vacuum Water Change Gravel Sand Cleaner Fish Tank Siphon Pump. Hot Pot Soup Ladle Spoon Stainless Steel Duck Mouth Shaped Spoon Long Handle SH. Dual Hanger Clothes Folding Rack Organizer Foldable Multifunction SN. Electric Toothbrush Portable Travel Plastic Case Oral-B Pro Series Tool SH. 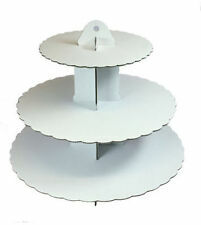 Versatile design allowing 360 degree rotation of your cake. - Made with quality food grade plastic. Get Supersized Images & Free Image Hosting. 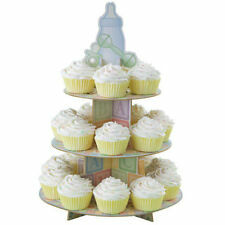 Cake stand / salad bowl set is perfect for caterers and kitchens in need of a versatile serving tool. When used as a display stand for your cakes, pies, salad, or assorted pastries, you can create a stunning presentation while keeping everything fresh and ready to serve. 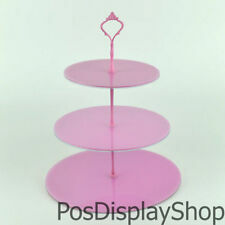 Modern style cake stand 3 tier. Plates are deep Blue and Gold leaf. Fresh whileshowing them off attractively. · Acts as a cake stands, or invertsinto a punch bowl. These are hardly visible and I was unable to capture them on a photograph. They do not affect the use of the item at all. A clear perspex 3 tier wedding cake stand plus a cross-stand for an extra cake. 1st tier 14.5cm across - 7.5cm high. 2nd tier 22.5cm across - 20.5cm high. 3rd tier 31cm across - 36cm high. Of durable, high-quality SBS paperboard, easy to assemble. 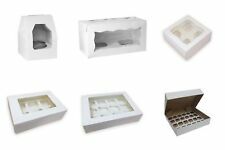 White cupcake/muffin boxes with holds 12 inserts and clear windows. Perfect gift boxes for your cupcakes and other baked goods. Transparent Detachable 7 Tier Circle Acrylic Cupcake Party Wedding Cake StandApprox. Height: 62cm/24inchTray Thickness: 3mm/0.1inchG.W. : 2.35 kg /5.18 LBMaterial: AcrylicColor: TransparentDiameter: 1st tier 5.9inch/15cm2nd tier 7.3inch/18.5cm3rd tier 8.8inch/22.5cm4th tier 10.4inch/26.3cm5th tier 11.8inch/30cm6th tier 13.4inch/34cm7th tier 14.8inch/37.5cmHeight of each tier: 4inch/10cmPlease note:There is a layer of protective paper film on the stand surface, please slowly tear them off from the edgPackage Contents: 1x cake rackNote: Light shooting and different displays may cause the color of the item in the picture a little different from the real thing. The measurement allowed error is /- 1-3cm. MPN Does not apply Brand Unbran. 2 Tier Shabby Chic Cake Stand with 2 9" Sanderson Peony Tree Plates. Both of the plates have scatches on them.Overall Hight to the top of the handle 13.75". The Stand has signs of wear due to being pre- owned. 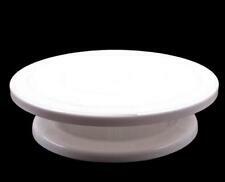 Turntable, suitable for Cake making, Craft & Bonsai Plastic, 25cm rotating turn tables. 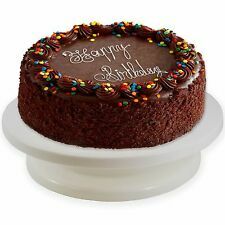 2 Piece Oblong Cake Box Rectangular Cake Drum 16" x 12" x 6". 2 Piece Oblong Cake Box & Rectangular Cake Drum. 2 Piece Oblong Cake Box and Drum Suitable Cakes 16" and. White Cake board. 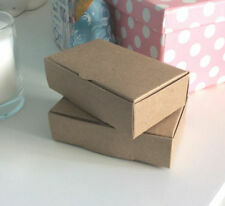 Cake Boxes. We look forward to speaking to you. 25 x Window Sweet Boxes. 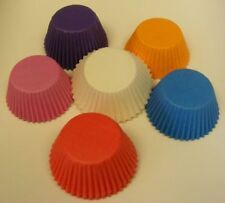 A PAIR OF FILLED ACRYLIC CAKE SEPARATORS OR STANDS. Bespoke Acrylic Designs,Handcrafted For You! Bespoke acrylic designs. All our acrylic products are handcrafted by ourselves. Goods MUST be unused. View Our Categories. 10" CAKE BOXES WITH REMOVABLE FOR SALE. Dress My Cupcake Box w/ White Lid & Natural Brown Interior 100 Count 14" x 14"
19 WILTON CAKE PLATES, ROUND AND HEART SHAPED VARIOUS, 26 CAKE PEGS INCLUDED!